Walk in wardrobes aren’t necessarily reserved only for rich and famous. This extremely useful part of any home interior design can be installed according to your wishes regardless how big or small, you plan it to be. When it comes to walk in wardrobes every single inch truly matters. That’s why you have to make sure that this particular task is going to be handled by someone, who deals with this specific kind of design on a daily basis. Eurolife design team has a proven track of successful assistance in this field of interior design. We will carefully evaluate your situation, available space and budget requirements. 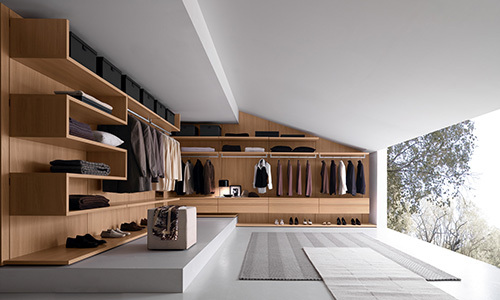 Our primary objective is to always come up with an optimal solution when designing a perfectly tailored walk in wardrobes. Our design team will suggest you how to properly use every available corner for hanging, what’s the best way to use drawers, shelves or baskets for additional storage, and similar functional solutions. You walk in wardrobe in Sydney deserves a delicate personal touch, and we will make sure you get in a complete accordance with your expectations. The most important thing for you to remember is that is nothing to worry about available styles, designs, and finishes for your walk in wardrobe ideas. Uniformity is one of the things that you can’t associate with our brand name. We understand that your walk in wardrobe has to give the final aesthetic touch to your entire interior design, rather than to become an exception of previous successful design work. Our showroom in Sydney includes the profound selection of both classic and contemporary walk in wardrobe designs. You can choose the most suitable one, beginning with the simple designs, all the way to the most prestigious and luxurious ones. 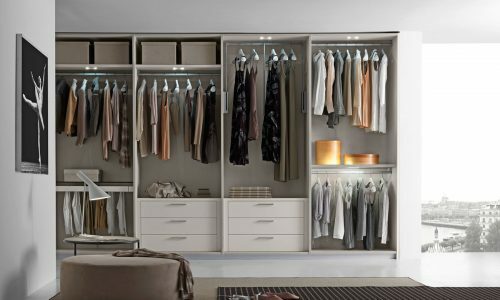 In addition, you can always expect from us to match your expectations with the ingenious storage solutions, which are the invaluable part of any perfectly designed and installed walk in wardrobe. Our team will make sure that every last inch of your available space has been maximized to the very limits of the top functionality and usefulness. 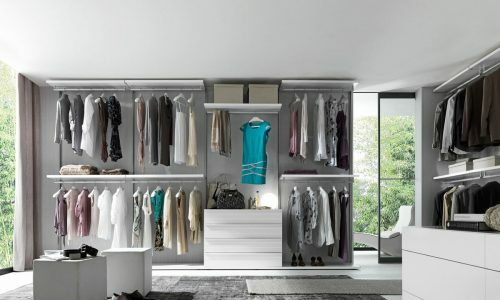 Your walk in wardrobe will become a place for everything and anything you may need with a thoughtful design. 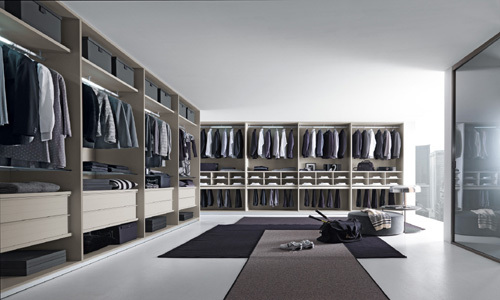 Eurolife team will fit your walk in wardrobe into any room of your home according to your wishes and requirements. You don’t have to worry about the limitations associated with its size or shape. There’s nothing a skillful designer can’t solve in this field with a thoughtful approach. Our showroom will give you quite a few ideas to begin with. All you have to do is to give us a call or pay us a visit, and our interior design consultants will provide you with all info you may need. 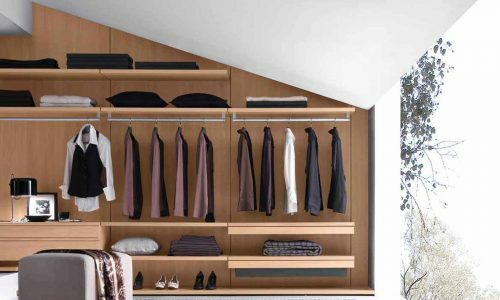 Your walk in wardrobe can become a place of your interior design pride. You don’t have to turn it into a cold and meaningless additional storage room. 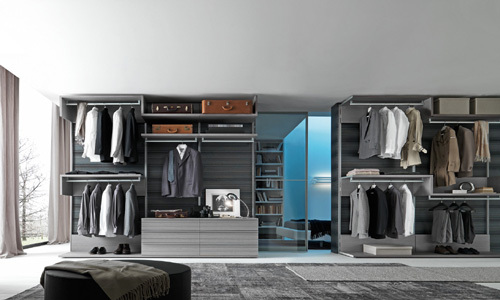 Walk in style with Eurolife walk in wardrobe design.